At 70, Becky Grantham is still on her bike, loving life and pushing her limits. Going and doing. That’s what brings Becky Grantham the most joy. And at 70, the former professional cyclist has no plans of slowing down anytime soon. Grantham has a passion and love for people. Quite simple she loves living, working, working out, riding her bike out on the road and being healthy and fit. She qualified for the 2013 National Senior Olympics in cycling and she plans to start rowing lessons this summer, with hopes of being on a Masters team. Her life story reads like one straight out of Hollywood. She earned the nickname “Fire Starter” from colleagues with her solid record of launching new products and start-up ventures. Her enterprising spirit allowed her the opportunity to own and manage a successful talent agency and develop into a sought-after casting director in a state not well represented in the field. She continues to find success in many different industries. As a founding partner in BAR M MUT LLC in Oklahoma, she developed an award-winning marketing program that targeted ranchers, farmers, hunters and commercial nurseries within an eight-state region becoming the top dealer in the nation. She excelled in the medical industry for more than 15 years, having the distinction of being recruited and promoted by industry leaders. 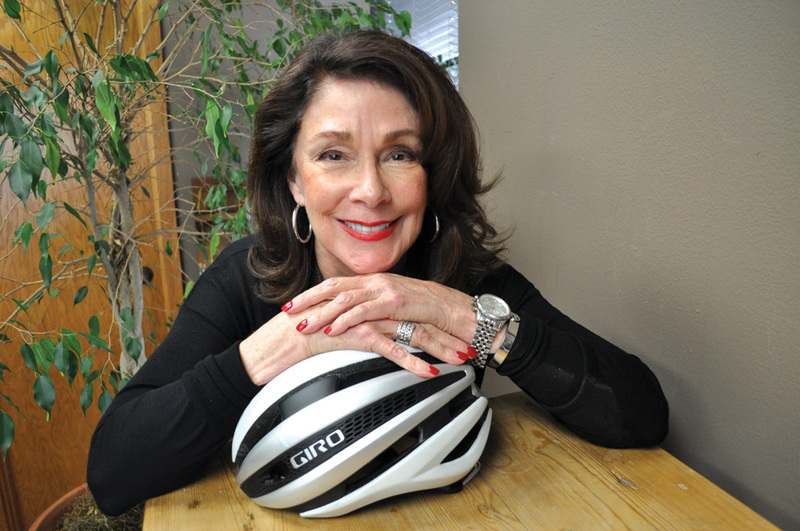 A lover of the arts, fitness, health and outdoor living, she has cycled century rides (100 miles in length) for many fundraising events and even enjoyed a couple of years as a professional cyclist for a philanthropic team out of Texas. She took the gold medal in Oklahoma’s 2012 time trial and road race in her age division. Other passions include being an accomplished competitive rider of Show Hunters and Jumpers, as well as being a whipper-in for Fox Hunting. The love of gardening led her to achieve a Master Gardener accreditation. As an advocate for others, she’s held many leadership roles within her church and community serving and lobbying for the wellbeing of children and woman. In addition, she has volunteered on missions to Honduras and within inner-city Oklahoma City and is a strong and passionate advocate against domestic violence. Training for a century ride requires lots of time on the bike as well as time in the gym. It was her son who got her hooked on cycling. Her first bike was the one he had when he was 12. And she kept increasing her mileage. Grantham uses all that energy to keep up with her eight grandchildren, one great granddaughter and three children. She wants to inspire others to do what they love and remain active. It’s worked for her for her entire life.